Here's a flurry of questions, comments, and concerns... Feel free to pick any bit to answer from. I hate to intimidate people with so many pointed questions so just speak your mind on any point. Looking for opinions as much as facts, but prefer the latter. That is: is it more important to maintain a balance between the two or worry about the actual mass consumed of each? My targets are set to 4700mg (K) and 2500mg (Na) but I rarely meet both any given day. My daily extreme allowance is set for up to 10500mg (K) and 5000 mg (Na), which I sometimes approach, but my average lands very close to target despite wild swings in favor of one mineral or the other. Our bodies regulate serum levels and cytoplasm/interstitial fluid concentrations right? So, are these swings and extremes safe? I get a little 'frothy' on salty days but I'm talking long term. What's a dangerous lower level (weekly average) to avoid deficiency? What's optimal for health and longevity? Does that differ from performance optimum? Based on daily tracking, in the past week I average 4500mg (K) and 2500 mg (Na), so not quite 2:1 K:Na... My intake in the past year has been a bit lower for both but approximately 2:1... This is what I get without worrying much about it (except actively seeking potassium most days). i have no idea either. which is why i threw out the query. I do not know. Surely the K intake is low, because they eat mostly animals. Yes, they cook in seawater so I suspect they have very large sodium intakes. But has anyone documented the numbers. This is a great question and considering their reliance on the sea I suspect they got a lot of salt. Nothing wrong with rational orthorexia. Not that I could convince you of this. Looking for science... our at least experience as the science on this topic seems strangely sparse. Good question. I have no idea... should I take chloride consumption very seriously? If so, why? Lately I've been experimenting with high carb paleo ranging daily form 150 to 300 grams. I coil give more exact ratios but top of head if say 30 to 55% day to day. glib, do you happen to know what is the K/Na ratio for the Inuit? That's an ultra low carb culture, so presumably they get the sodium excretion issues that low carb induces, and it would be interesting to see what kind of electrolyte inputs they have in a daily diet. Not sure how I would ever get to 10-1! 2) Virtually everywhere hunter gatherers have K/Na ratios of order 10 or higher. For them, intakes of several grams of K are common. You want to suggest that paleo principles completely blow up when it comes to Na? Go ahead, and I think you will have a point, since Nature made it so tasty for us for a reason (it did the same for sweet fruits, too). I would certainly appreciate that. FWIW I dropped the low carb thing a few months ago. Might experiment again in the winter... but yep I'm skinny and low carb seems to cause digestive and metabolic issues, among other things I probably don't fully understand. This electrolyte thing might be a part of that and I'd love to learn more from your other threads. 3. you get a reasonable dose with the bicarb form, not the usual 99 mg (0.099 grams) dose from the chloride form, which is a complete waste of time. One small banana gives you ~362 mg #1. & the 99 mg potass chloride limit on pills has been put there for a reason (i presume), so i would avoid this form myself. "Can anyone suggest a reason the bicarb form would be better?" 2. taking the bicarb form avoids adding to your daily intake of chloride, the rda for which is ~2.3 grams (adult), the chloride rec is just calculated off the salt/sodium rda. i don't think it has been looked at on its own? Can anyone suggest a reason the bicarb form would be better? you can get potassium bicarb supps, which i am guessing (but just guessing) would be better than potass chloride. iherb has some here which look like they have 526.5 mg potassium per capsule (or it could be 526.5 mg potass bicarb per capsule if their labeling is misleading?). iherb has some here which look like they have 1053 mg potassium per capsule (or it could be 1053 mg potass bicarb per capsule if their labeling is misleading?). Probably better to post here, as others likely know more than I do. Potassium I try to maximize (jerf+seafood+veg soup.) And Mg keeps my recovery time short - if the soil / drinking & bathing water had more, I wouldn't need it. Potassium supplementation is a tricky subject to avoid harm, and micro-encapsulated KCl isn't much of a paleolithic food. None that I can recommend. A few plates of fruit / veg / starches with avocados and chicken / beef / fish stock / coconut water / tomato sauce is a much tastier approach. This is an interesting reference. It makes the point that microencapsulated potassium does not show the mucosal damage. Do you know of any potassium supplement we can buy that is microencapsulated? paleot, I don't see a private messaging function on this site. Could you contact me by email at persistentone AT spamarrest.com ? I have some general questions on electrolytes, which seems to be an area where you have read widely. Erosive damage to GI mucosa / ulcers. Better to just eat real food than to eat supplemental crystalline KCl. 100 milligrams? That's ridiculously (dangerously) low at 1/5th the minimum. If you ate WAPS suggested 3g of Na (8 grams of salt) at a 4:1 ratio, that would be in the 30 banana/d zone, possibly bordering on hyperkalemia and likely over 400-500 grams of carbohydrates in a day. Unfortunately, many people implement Paleo in combination with low carb, and research clearly shows that low carb diets force the kidneys to excrete large amounts of sodium. Research studies suggest supplementation of up to five grams of sodium per day. paleot: what are the risks with chloride form of potassium? I've stopped feeding your orthorexic tendencies. I have sort of the opposite approach, where I eat more sodium than potassium and supplement Mg to spare K. In the 100g+ range of carbs, I eat 2+:1, but in the 40-100g range, it's closer to 1:1, and under 40g, it's closer to 1:2. Not sure if this is optimal, but it's about what is realistic from whole foods without taking chelated potassium or taking chances with the chloride form. I operate under the idea that Na shouldn't be limited in my diet, as it is a vital electrolyte lost during exercise / sweat and not reabsorbed in the kidneys without insulin spikes. 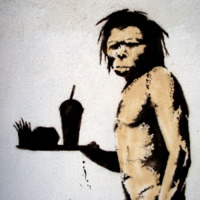 Paleo principles suggest that moderni diets have low K, including some paleo diets themselves. We possibly have high Na, since Weston Price's book suggests good health in tropical populations with intakes of 100 mg Na/day. Modern research also suggest optimal ratios of order K/Na 4/1. You want to decouple this problem from the iodine problem, which is not entirely trivial since modern salt is a major iodine contributor. I think part of the problem here is establishing importance of the question, and maybe giving some context as well. Low carb diets (under 50 grams, but for some people even under 80 grams) tend to cause the kidneys to shed sodium rapidly. These diets have a diuretic effect. If you are very overweight, and you retain a lot of fluid in body tissues, the diuretic effects of these diets are a blessing. If you are skinny, or do not retain excess fluid, the diuretic effects of these diets will leave you flat on your back without energy, and with various severe symptoms associated with electrolyte imbalances. It's not widely publicized that low carb diets require sodium and electrolyte supplementation. In that context, anyone on a low carb diet needs to pay attention to electrolyte issues, and for that group of people your questions become important. I am going to post a few threads here by the weekend, documenting my own (extremely horrible) experience with low electrolytes on low-carb Paleo, and separately asking for some formulations for good electrolyte replacements. I'll try to link to those threads here when the threads exist.